Comes to Blu-Ray/DVD on Sept 16th! Calling all Thomas the Tank Engine fans! 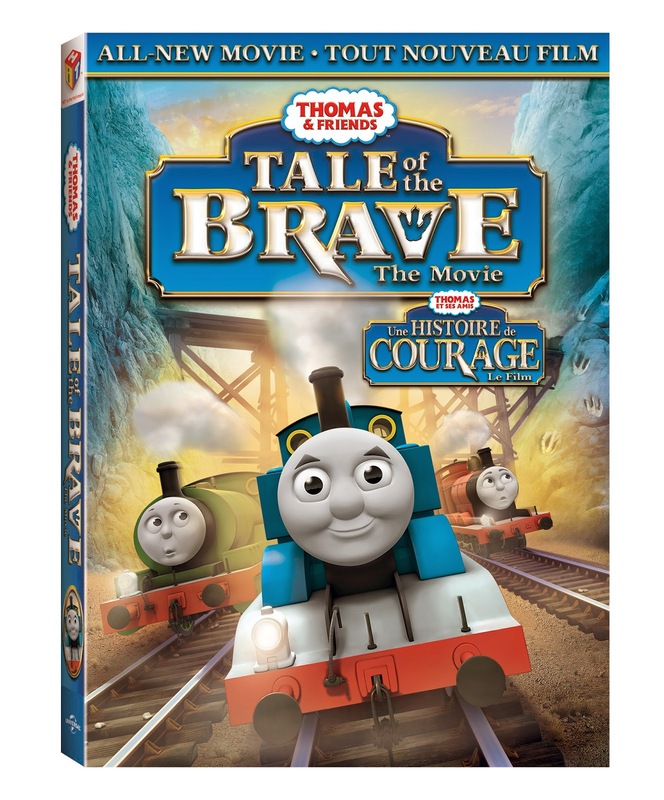 Thomas & Friends: Tale of the Brave The Movie is coming to Blu-ray/DVD combo pack on September 16th, 2014! If you have a big Thomas fan like I do, you'll want to chug into the store and add this movie to your collection. "After a big storm hits the Island of Sodor, a landslide uncovers some very strange footprints. Trains Thomas and Percy are curious to learn what or who could have left these prints behind, but danger and obstacles seem to appear around every turn in the track. With the help of new friends, a heap of courage, and a little digging, they discover the surprising answer and also learn the true meaning of bravery. Join Thomas & Friends in this exciting and inspiring movie adventure!" Watch the VIDEO below to see the movie clip for Thomas & Friends: Tale of the Brave The Movie! WIN 1 of 5 Thomas & Friends: Tale of the Brave The Movie Blu-Ray/DVDs from SnyMed.com! 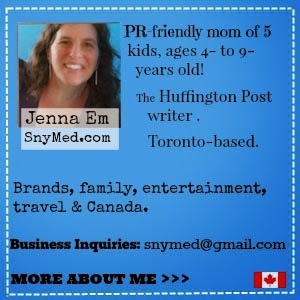 Contest open Canada and USA, and ends on Wednesday September 17th, 2014. Leave a COMMENT below, stating if you have a big Thomas fan in your family OR for whom you'd like to WIN the Thomas & Friends: Tale of the Brave The Movie. Then use the entry form below to enter the contest. GOOD LUCK! I have a huge fan, my 3 year old daughter is HOOKED! Nephew a huge Thomas fan!! My youngest is a HUGE HUGE Thomas fan!! Both my littles (3&1.5) adore Thomas and would love this! I'd like to win this for my nephew, he's a big fan of Thomas. I'd love to win for my grandchildren...they're both huge Thomas fans! My kids both love Thomas! My youngest is a big Thomas fan and that is who I would like to win this for. I have a boy who is a big fan of thoms right now and i have a new little boy that will enjoy him just as much pretty soon. I have a young boy who adores thomas and i have a new one tht will love him just as much pretty soon. My neighbor loves trains...He would go crazy for this! My son is just getting acquainted with Thomas the Train, so I know he'd really love to have a movie to watch! My 5 year old is a big Thomas the train fan. I'd love to win this DVD for my son. The 5yo boy has over 20 of the trains, 5 movies and got to ride on Thomas' carts. Superfan to say the least. My son really likes Thomas the Train! My youngest is still watching Thomas and loves it. Love to win this for my nephew & godson who is a huge Thomas fan. I'd win this for my friend who teaches public preschool in a cash-strapped urban neighborhood.